BAseball Reality Tour: Looking for Arms? The last time we publicly looked for arms, we used our 12-team H2H league as a case study and concluded with the decision to stick with Marc Rzepczynski. He didnn't last long on the team and turned into Carlos Carrasco, who has been outstanding. After the jump are five under-owned options, and one over-owned player to avoid. 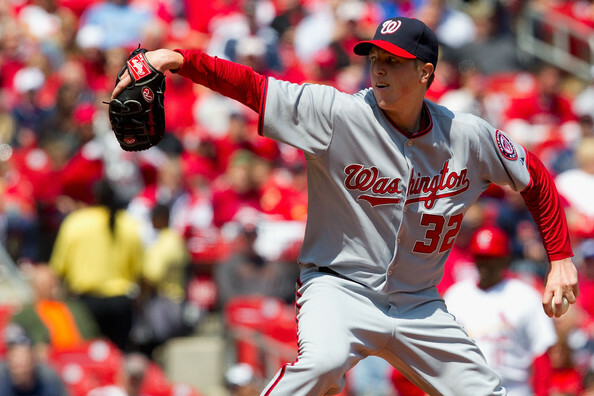 Just coming off the DL is not traditionally where you want to find starting pitchers. 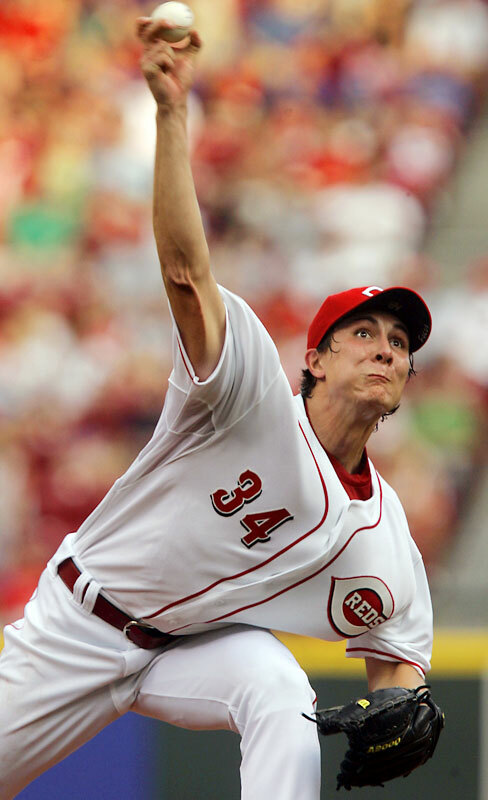 On the other hand, Homer Bailey has been striking out batters pretty well and finally blossoming into the Major League starter people expected two or three years ago. His last start wasn't pretty, as he got tagged for 5 runs in 5 innings. Still, he managed to strike out 6. With the mighty Reds lineup providing support and a developing bullpen, we expect his future to be bright. I'm a bit surprised to see that many of ESPN and Yahoo fantasy baseball owners are utilizing Cleveland's new C.C. as a streaming starter. He's owned in just 45% of Yahoo leagues, and shot up from 24% owned to a still paltry 54% for today's start on ESPN. Perhaps, he'll hit a wall as many young pitchers do and struggle, but if you're in a deep league with few pitching options, and he's out there, he's probably worth the risk. Over the past 30 days, Carlos Carrasco is 8th in all of baseball with a 1.77 ERA. His ERA has been supported a bit by luck and good defense, but his peripheral stats show he's still been very good: 2.72 FIP and 3.45 xFIP. 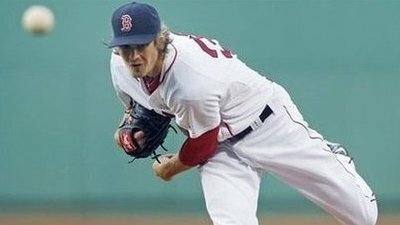 We don't know if Miller will get another start, but if he stays in the rotation he is definitely worth a roster spot in every league. He'll get run support, with the mighty Red Sox lineup, and aside from staying in one inning too long in his first start of the season, he has shown an excellent, repeatable skill of getting Major League hitters out. Not meaning to repeat ourselves again, but it seems that even after we mentioned him in our May 30th post, the major networks haven't steered enough of the masses to this dynamic young southpaw in San Diego. He recently moved into the rotation and should be good for about 5 or 6 quality innings, especially in home starts at Petco. Going pretty deep here, with a player who's owned in just 3% of Yahoo leagues and less than 1% on ESPN. We've always liked Gorzelanny. As the running theme to this post and any post about fantasy pitching, he's getting strikeouts. He is a flyball pitcher, so don't start him against power lineups or in bandboxes. We don't like his 4.83 FIP this season, but when his abnormally high 1.67 HR/9 number stabilizes, he could go on a nice run. He's having a terrific season in real life, but the inability to rack up strikeouts (4.5 K/9 this season) makes Kevin Correia one player to probably avoid. Maybe we could say a similar thing about Carlos Carrasco, who has been striking out just 5.5 batter per 9 innings, but looking at the pitch values page at Fangraphs shows C.C. has clearly better stuff than Correia. He's currently owned in 46& of Yahoo and 44% of ESPN.